I am so profoundly touched at the continued support, and the number of visits that this blog has, and is enjoying. You …amaze me! And although i will no longer be posting in this blog, I will keep it running for future readers to glance at the life and trials heart disease. Please consider this a personal invitation to join me at my new website and blog. Follow this link to my website. http://brianhayden.net/ The blog is easy to find. Come over and subscribe to the blog through the NetworkedBlogs button, located on the bottom right side of the blog. Do this and I will send you a free e-book. Five Short Stories and Twelve Poems is receiving wonderful reviews. If you have a Computer Kindle reader, I will send you a Kindle file of that book. If not, you may download a reader on Amazon. Or, I will send you a PDF of the book. Leave a message under the “contact me” page and tell which version you want, along with an e-mail address. Thank you again. and I hope I see you at my new website and blog. As you know, this blog is complete. I had my transplant, and I am on the road to recovery. Now, I am concentrating on living. I have a new blog coming out after the new year. It will have commentary, the occasional book reviews and author interviews. I reserve the right to complain about stuff too. I hope you will join me there. My new blog , a wordpress blog is part of my new web site, and may be accessed here: http://brianhayden.net/ . I have been very busy these past few weeks. I published two books since November 15th. Whew! Please take a moment to look at my new books, and some not-so-new books. They will make a great gift for yourself, a friend or loved one. Happy Holidays! Thank you all for the support you have shown me these past couple of years. Your support and encouragement has meant the world to both Denise and I. My newest book, “Road To Transplant” is available on Kindle and paper back. I will donate $1.00 to The American Heart Association, for every copy of this book sold. Please accept a 15% discount for “Road To Transplant” when you buy it through Createspace. 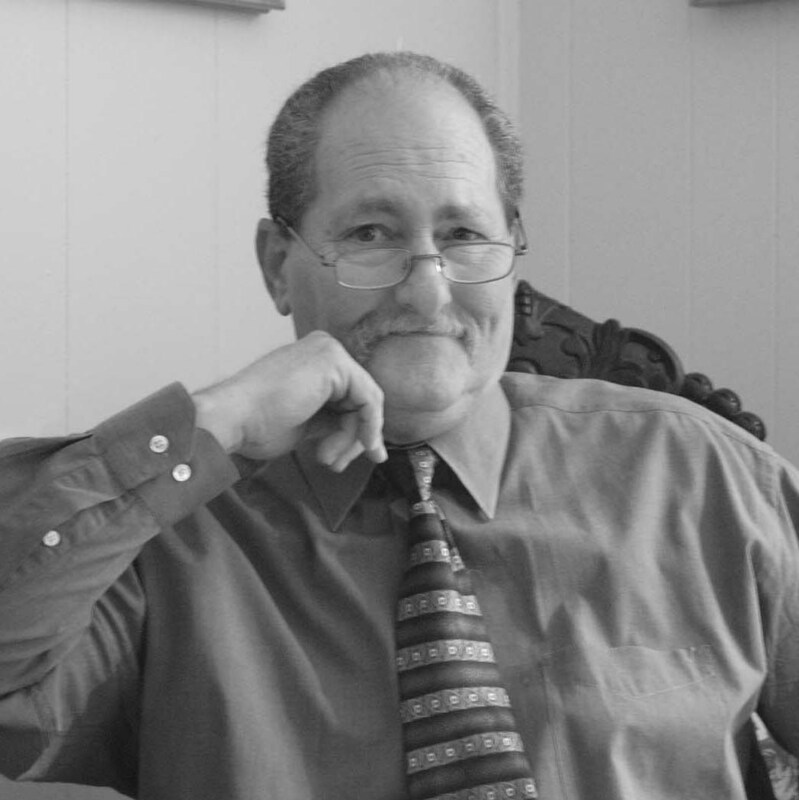 Excerpts for all of my books are available in my new web site. (excuse the building of my new site. While most of it is up and running, reviews for all the books are not there yet.) Go to the Amazon site to read the reviews. Merry Christmas, Happy holidays and have a blessed new year. THANK YOU. I left the hospital after 10 days. It was great getting back home. I thought I would be more active, but it only took a moment to realize I would have many more days of healing before normal activity would return. For one thing, I still required my chest pillow. A chest pillow is used as a brace – of sorts. When a person has any open chest surgery, the sternum is broken. Now if it were an arm or a leg, the broken bone is stabilized with a cast. Obviously, with the sternum that is not possible. Instead, patients use a chest pillow. Not all the time, but I use it if I must cough or sneeze. I pull the pillow tightly against my chest, as if I were giving it a hug, with my arms wrapped tightly around it. The pillow is my constant companion for the next three weeks. Even turning from side to side in bed is painful. In the first days home I went through lots of pain medicine. Probably 10 to 12 tablets of Hydro-Codone each day. Aside from my chest healing, I came home from the hospital with a lymph leak adjacent to my groin. You may recall me mentioning that during the surgery, they had to use an alternate site to hook up the bypass machine. Instead of going through my chest, they needed to go through my groin. While that was a life saving alternative, the procedure badly damaged the Lymphatics in the region. Leaking at a regular rate of about 25 cc’s an hour, you can imagine the mess it caused. Denise was a trooper though. She got in there and changed the lymph fluid soaked bandages five or six times a day. As the days and weeks went by, the leaking continued. You might imagine that with all the tape from the bandages having been put on and taken off repeatedly, the skin in the area began to tear. The entire area was bruised and torn up. After about a month of regular bandaging, the doctor decided to use an “ostomy bag” to capture the fluid. It hung from my thigh from a fresh drainage hole the doctor created. Truly it was a blessing. No mess and easy to empty. We thought though, that the leak would never stop. Finally, just a couple of weeks ago, after nearly ten weeks of leaking, it stopped. Sunday night I drained it. By Monday morning the bag was still empty. What a night mare. I am so glad that is behind us. Now for the hard part. If you are regular readers of this blog, you will remember me discussing “de-conditioning” the months leading up to being listed. In those six months preceding the transplant I was very sick, and unable to do the slightest of exercise. By the time I was called for the transplant, I had spent a full three months almost completely sedentary. To say that I was de-conditioned would be a gross understatement. My muscles have atrophied. I cannot easily walk anymore. The solution. A program called “cardiac rehab”. The only issue I have: The program is at a very large Army hospital, SAMMC, (San An Tonio Military Medical Center). By the time I walked from the parking lot to their office I would be too tired to exercise. Consequently, Denise and I needed to adjust our plan. We arranged for a physical therapist to come by my home twice a week. Between his visits, I would do the exercises he is teaching me. Last week I had another heart biopsy. The doctor said I have zero signs of rejection. I asked him about going to the gym and he gave me his approval. This is going to go a long way towards getting back to “normal”, whatever that means. I am being removed from the steroids, slowly, but surely. I am down from 20 mg per day to 5 mg per day. Valcyte is gone (that was a $3,000 per month drug), as well as a few other drugs. As for the anti-rejection meds…well, I will use them for the rest of my life, but for now, the blood levels are stable, so I only need blood test monthly now. Before last week, I was getting weekly tests. The first year after a heart transplant is the scariest, but I trudged through the first three months like a champ, and my recovery is on or ahead of schedule. I am continuing to exercise regularly, and though I am still severely de-conditioned, I am improving. As always, please say a prayer for all the donors in our world, and their families. If you find yourself not really knowing what the heck is going on, you can catch up. 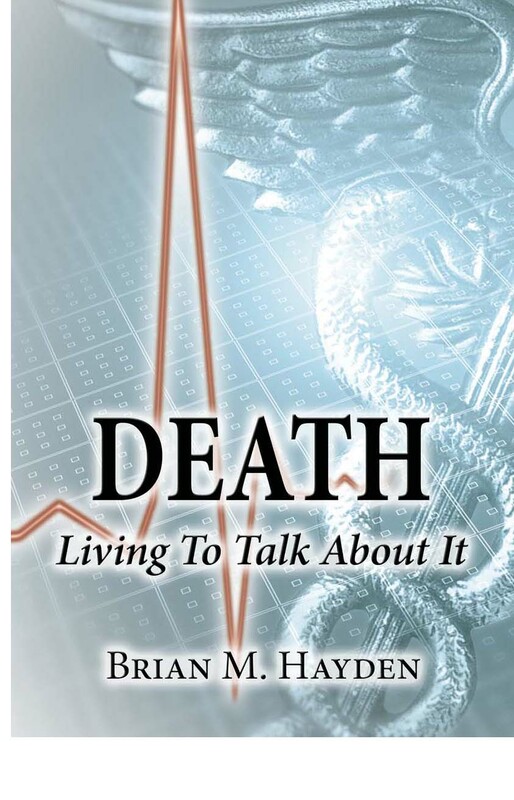 Pick up a copy of “Death:Living To Talk About It” here. http://www.brianhayden.com/ My book is available in Paper back, Kindle and Nook. Take some time to go back in the blog..one month…six months…a year or more. My life is spilled all over the last 200 + blog entries. I invite you in and check it out. This memoir is the story of a man struggling with heart failure, and the trials he and his family endured for many years. It is the story which proves that no matter what, you do not give up. There IS hope. The sequel to this story is “Road To Transplant”. Some of what you read in this blog is in the new book. Road To Transplant is scheduled to be released in Mid November 2012. According to my daughter, I was brought back to the Surgical ICU around 2:30 am. 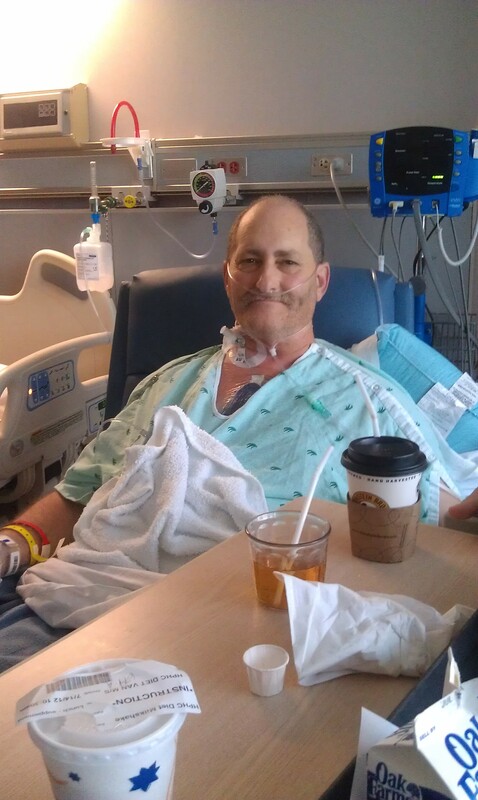 Six hours after being brought into surgery, and twenty three years after my heart attack, the transplant was completed and I was resting comfortably in ICU with Stanley. It seemed too impersonal to call my gift “the new heart”, so I named him “Stanley”. I was listed in critical, but stable condition. Attached to some twenty bags of fluid, through about eight pumps, I lie there, not yet conscience. 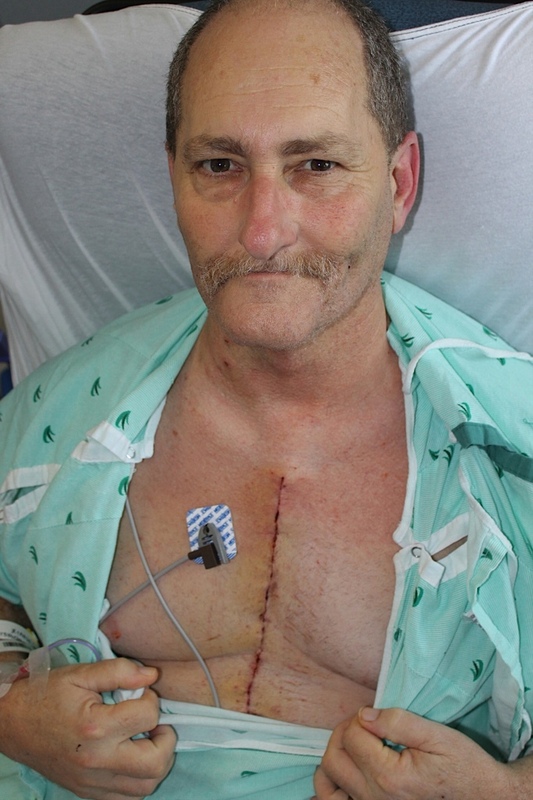 The transplant was called a success in that the doctor changed out the old heart for a new heart. The surgery did however have moments of peril. Later, when I talked with the surgeon, he explained that he usually begins cutting the sternum (chest plate) from the bottom up. Then, once opened, the heart bypass machine lines are connected from the top of the heart to the machine. Well, as the doctor began cutting into my chest large amounts of blood began squirting out. Apparently, my heart was so enlarged that it was pressing against the sternum. When he began cutting my chest, he cut into my heart. Here is the cross roads for the doctor. Continue cutting and try to get the lines attached before I bleed out and die, or stop and use an alternate site to hook up to the bypass machine. Quickly, the doctor chose the latter, and with a scalpel cut my upper thigh near my groin exposing the large Femoral artery and vein. It was at this location that the bypass was connected. Once that part of the surgery was under control, the balance of the procedure went without a hitch. The intubation tube remained in my throat I think about 8 hours or so. Once removed, the nurses immediately began getting me up. At least that is what they called it. The first five days were the hardest. Moving was painful. Hell, just lying silently was painful, but two or three times a day, they would help me out of bed and put me in that big chair. You may be wondering why I have a pillow on my chest. Well, my chest is essentially broken. Taking a deep breath hurts, so I pull the pillow tight against my chest for support. Sneezing and coughing are worse, and I must hold onto that pillow very tightly. Like most things, the pain begins to subside. I am only hooked up to a few pumps now and a half-dozen bags of medicine. The rest I take orally now. Once again strength begins to appear. Then on day five in the surgical ICU they moved me to the step down unit. It is here that I will be weaned off of oxygen and other IV drugs. The physical therapy team now comes by twice a day to get me up and moving. At first I walk around the room. Soon, I take my first steps out of the room and walk 100 feet. I will have to walk 200 yards before they are satisfied. That is walker assisted. Amazingly, after ten days in the hospital, they decided I was well enough to go home. I left with a bag of more than twenty drugs. Some anti-rejection drugs, some steroids, a host of vitamin and minerals to help support a depressed immune system and other stuff. And if you think the trip is over, YAHOO! I am home, you would be so wrong. Lots of challenges ahead. Watch for future posts. Join me as I say a prayer for the donor and his family. Words of appreciation and gratitude hardly seem fitting. When I find the right words I will share them with you. And a fond farewell and thank you to little Brian, my old heart. Though he was sick a very long time, he never stopped trying and kept me alive long enough to receive my new heart. Take some time to go back in the blog..one month…six months…a year or more. My life is spilled all over the last 200 blog entries. I invite you in and check it out. AND!!! 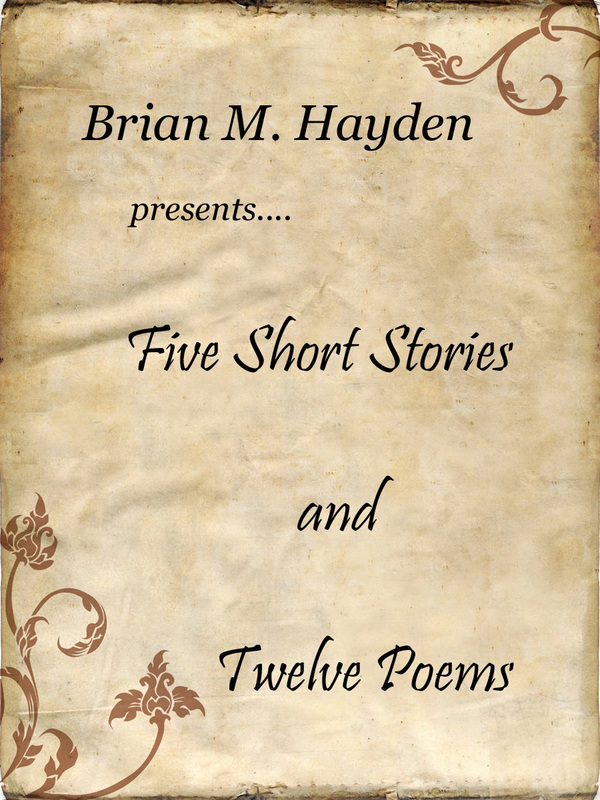 My latest book, a light fiction, called “Five Short Stories and Twelve Poems” is an entertaining read that is sure to keep you smiling. July 9th: Woke up this morning . That seemed to be the good news for the day. My energy level is, at this point non-existent. And as I sit slouched on the sofa, Denise asks, “are you ok?” In place of regular conversation, the dialog is filled with questions of my health status. When noon rolled around, we decided to step out and get a bite to eat. Now normally, we would pick a restaurant that offered healthy options,, and the burger joint we chose did serve salads. But I was not feeling well. On top of which I was feeling depressed. Six months had come and gone since being listed for a new heart and nothing. Just a couple of hopeful offers that turned out to be of no consequence. Every day we wait., Every day…nothing. “Give me a double cheeseburger and a chocolate milk shake” came from my mouth without a stutter. Denise being…well, Denise ordered a grilled chicken sandwich and a salad. We sat and ate our meal and taking. Actually questioning my choice of food for lunch I retorted something to the effect that it will be fine. They haven’t called us in six months. They won’t call today. So we stay, relaxed and talking about all manner of topics. Finally it was time for us to leave. Denise cleared the table and refilled her diet Coke. Then, she came back to the table to help me get up. I was holding onto the bag which held the pump and the Milrinone. As I held that, Denise held my arm and pulled me up. I adjusted myself, regained my balance and started toward the exit. “Brian. I have some good news. We have a heart for you.” Just as I listened to the last syllable fall off of her tongue,, time stood still. My stomach immediately turned into a knot and I could not speak. I motioned to Denise that they have a heart for me. She froze in her tracks. I have…no we have been waiting for more than six months for this call, and now that it is in my hands I am speech less. With tremendous shaking in my voice I manage to ask her to repeat what she said. “Do I have time to go home and shower” I asked?. “ Yes, but be at the hospital by 2 pm. I will let them know”. And with that I hung up the phone, turned to Denise in shock and began tearing up. I cannot say if they were tears of happiness or sheer fright. Quickly though, we got into the car and made our way home. As we did, I called my daughter. I told her what was going on. She would make all the subsequent notifications. As soon as I got home I jumped into the shower. By now, the phone calls started to pour in. Denise handled them. By 1:30pm we were out the door and en route to the hospital. 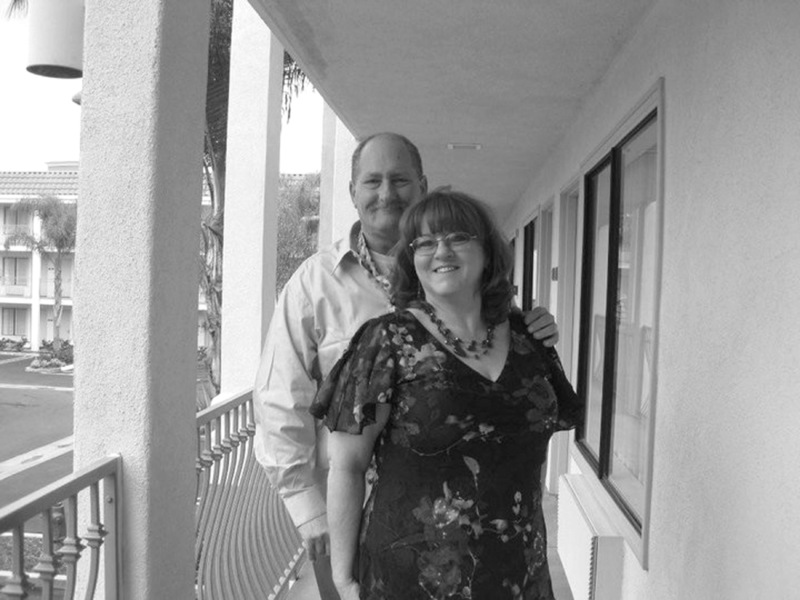 As we begin our walk into the hospital, the reality of the situation comes full circle and I begin to shake with nervousness, Denise clutches my hand tightly. I could tell that she is as scared as I am. Maybe more. As we make it to the 7th floor and walk into the cardiac ICU we are greeted with a nurse asking if she could help. I introduced myself and Denise and the nurse immediately came over and gave each of us a big hug, an very happy confident smile and some kind words. She showed us to my room. 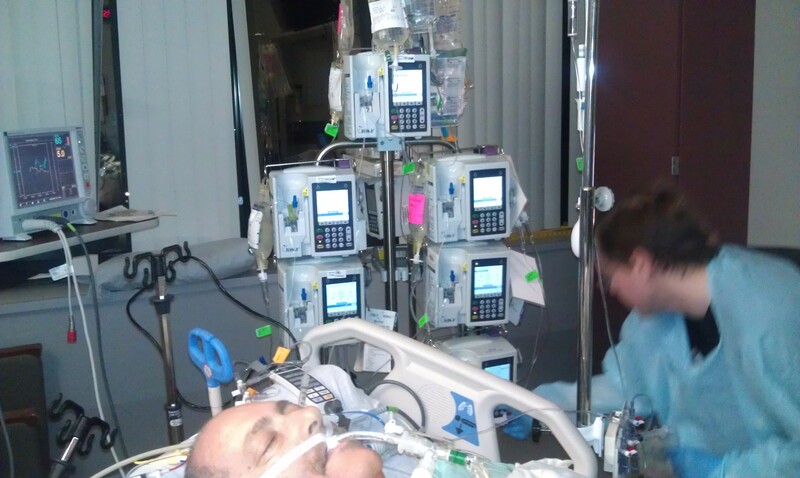 The room I would only have residence in until the transplant. After the surgery she pointed down the hall and said I would be at the surgical ICU for about a week. Moments later, a team of two nurses came by. They were from the surgical ICU. They told Denise and I that they would be my nurses when I arrive at the surgical ICU later on. They wanted to stop by and introduce themselves to us. Moments after the introductions, someone came by to get Denise. She would have to stay in a lounge area until I was prepped. Then she and others could come in. Now normally only two visitors at a time are allowed in the cardiac ICU. Pre transplant patients are allowed as many as you can fit into the room. The rules are different for patients that have a 10% chance of dying in surgery. With Denise comfortably in the lounge, the staff began prepping me. First… all of my clothes must be removed followed by all of the hair on my body below my chin. Yes, Everywhere. Chest, back, arms, legs, groin…everywhere. Then a special scrub to clean me up proper. Finally after what seems like a full day, at 3 pm, I was fully ready to go and Denise was allowed back in. As we wait, we were joined by my son and daughter, and other friends and family. All nervously waiting for some word. I remember, it was about 5 pm and Dr Kwan came in to my room. He told us that I was offered a heart and it looked promising. The heart is not yet at the hospital. It is still keeping the donor alive. Medical teams from all over harvest what they require. It is only after everything is donated that the heart retrieval team may extract the heart and give it a thorough examination. He told us not to get too excited. This may just be a dry run. He cautioned that dry runs happen frequently. A short while later, the surgeon came in. He is a white haired old man, seemingly over 70 years. He has the reputation for being meticulous with everything in his life, including his work. His clothes are freshly pressed, despite the fact he has worked all day. He tells us to relax. If it happens tonight, it will be a while. His soft, old voice is full of confidence and somehow beckons you to listen and trust him. A moment later he was gone. So as I lie in the bed, surrounded by the people I love and the people that love me, we reminisce about earlier days before the heart attack. Days which regrettably put me in the situation I find myself now. So many years of waiting. Such a hard, long road to get here. The moment is surreal for us all. At 6:30 pm, Dr Kwan again came to see how we were doing. He is hopeful now that the transplant will happen, but he cautioned still not to get my hopes too high. My friends and family took advantage of having his attention and asked lots of questions. It was during this period that the nurse entered the room. It was nearing 7 pm. She told Dr Kwan, and the rest of us that the surgical suite has just been reserved for us. Reservations for one at 8 pm. Dr Kwan said that I would get my transplant tonight, although he still is not certain what time. I asked him if he knew anything about the donor. All he could tell me was that the donor was a 37 year old male. He would give no additional information. Now it was at this point that you could begin to feel the tension in the air. It was palpable. Everyone was scared. I could tell that Denise is really frightened. The welled up tears in her eyes told the tale, and like a chain reaction, everyone began to tear up. To break the tension, almost on que, a nurse from the surgical ICU returned. She spoke kindly and said that they are ready for me when they complete the transplant. She let me know not to be frightened when I awake. My hands will be restrained. I will be awakened with the breathing tube still in use. They do not want me to pull it out. Moments later It was 8pm. As I lie there, my visitors began to come to my bedside for a final, and very teary good bye. It did not matter that the odds were in my favor to survive, this is some scary stuff and I was hugged like it was the last time they would see me. During the “good-bye procession”, yet another nurse arrived. She introduced herself and told us she was with the surgical team. The nurse followed up by saying that the new heart is nearly here and I would be going to surgery very soon. Then talking to Denise, the nurse assured her that she would be updated every hour. More often if needed. They expected for me to return to the surgical ICU about 6 hours after I leave here. 8:30pm arrived very fast, and before I could finish saying my good-byes, two gentlemen came in to get me. With one final kiss good bye and “I love You’s” to everyone and with tears now flowing out of every eye, I was quietly rolled out off the room, and out of sight to my guests. Take some time to go back in the blog..one month…six months…a year or more. My life is spilled all over the last 190 blog entries. I invite you in and check it out. This memoir is the story of a man struggling with heart failure, and the trials he and his family endured for many years. It is the story which proves that no matter what you do not give up. There IS hope. If you are reading this post, I have been called by the hospital. They said to come get my new heart. So that is exactly what I am doing. Denise and I are on our way to the hospital to get my new heart. I want to thank all of you for the support you’ve given me AND Denise over these past years. 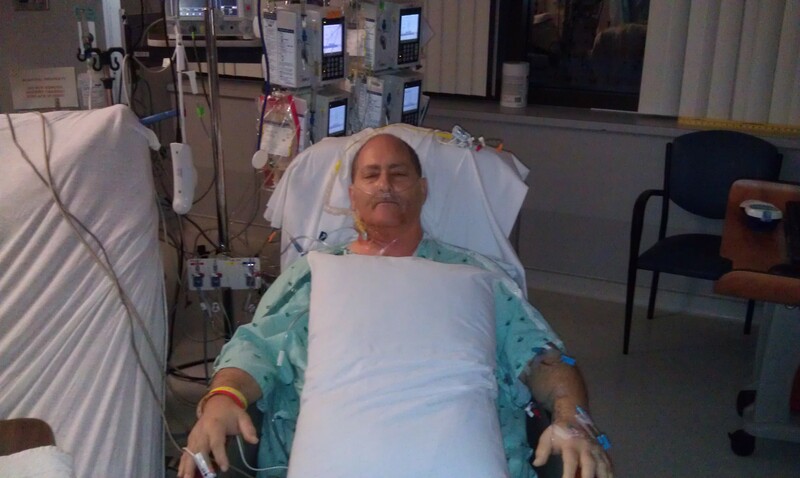 More than twenty years ago the Air Force doctor told me that I would not survive without a heart transplant. Another doctor tried to tell us a similar story in 1995. Again in 1998, a doctor cautioned that without a transplant, I would die. Then, in 2002, the scenario played out yet again. The doctors were nearly right in 2006. 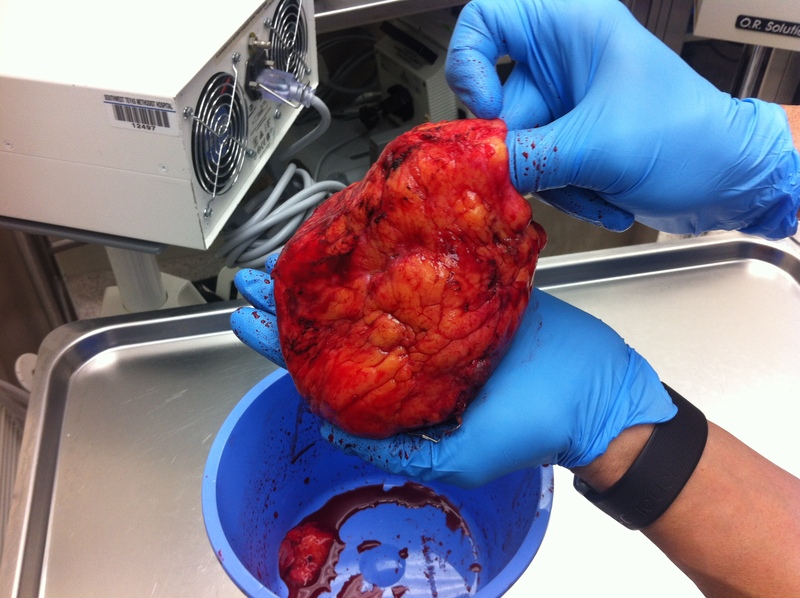 I was on the transplant program, and then not. Left in hospice to die…well, as you can see, I did not. Now, here in 2012, I am on my way to finally have the heart transplant surgery. Wouldn’t it be funny (in a sick sort of way) if I made it all the way to the hospital only to be run over by a bus at the hospital’s entrance. Makes me chuckle just thinking about it. This is both the end of the journey – and the beginning of a journey. It is the end of the journey to have a new heart. A journey I have traveled for over twenty years is finally over. (Take a deep breath) The beginning of a new journey is on the horizon. I have the rare opportunity to continue to live my life, despite the fact that nature is telling me I should die. It will be a tough year ahead of us. I say us because both Denise and I will tackle the trials that lie ahead. For me…I want to stay alive and get stronger with each day my eyes are open. I want to honor the gift I am getting this day by living the best I can. As for Denise…my personal guardian angel. She will be nursing me, driving me around, waiting in rooms as I get biopsy after biopsy and the nearly inevitable hospital stay. Tons of doctors appointments. Many trips to pharmacies and – well, I will fill you in right here as we move forward after surgery. As we drive to the hospital, my mind once again turns to the family of someone who has just passed away. Through their grief, they have seen clear to let me have their loved one’s heart. Thank you so much. From all of my family, please find peace knowing your loved one’s heart is keeping a pretty nice guy alive. Alive to share your parted loved one’s story of my donor’s kindness, and the courage of his or her family. 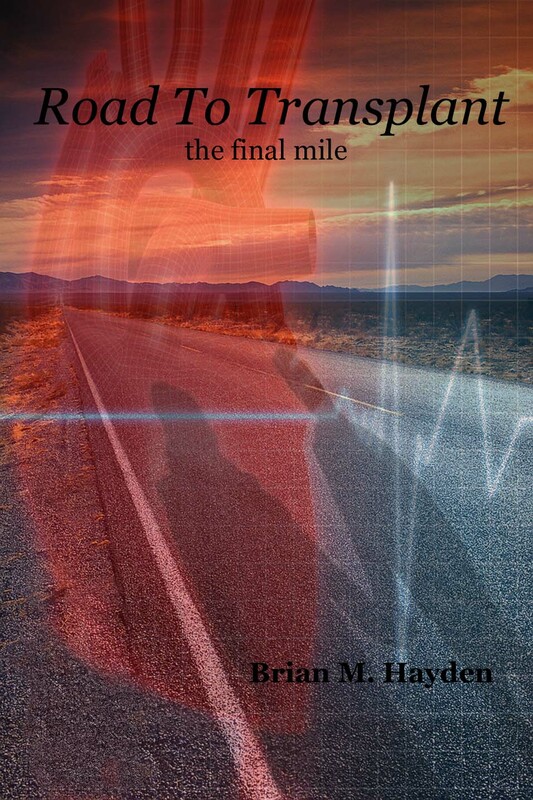 This memoir is the story of a man struggling with heart failure, and the trials he and his family endured for many years. It is the story which proves that know matter what -you do not give up. There IS hope. I used to think that having one week without drama was a realistic goal. I am now ready to concede to the reality that a guy waiting for a new heart will never have a week without drama. And this week just proves my point. Lets start from the beginning. Beginning of my blog week that is. 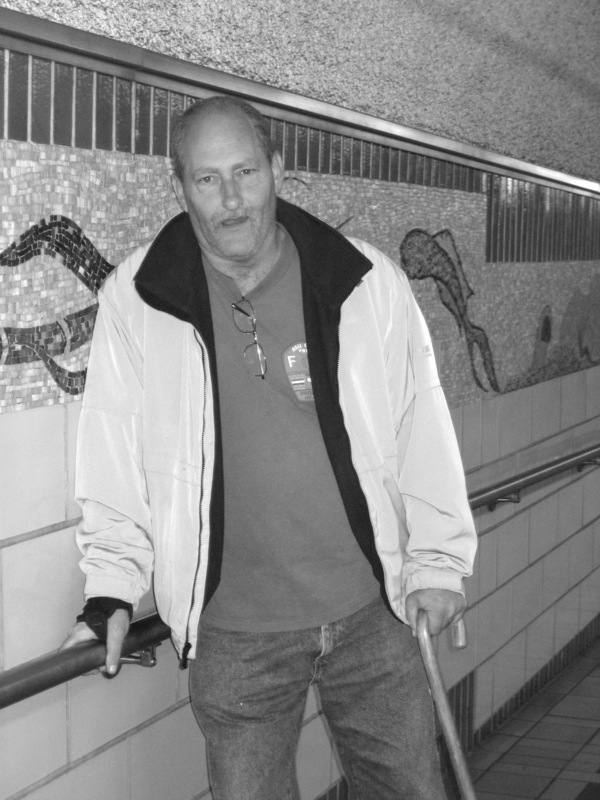 June 29th : As you may remember, I have been watching for swelling in my left leg – a symptom of DVT. This issue continues to come and go, and come and go. I truly do not know what is going on. I am putting this issue into the boring pile. It will no more trigger a “drama” event. July 2nd: My blood pressure continues to hinder my daily activity level. It hovers around 80/50. The doctor said not to worry about it as long as it does not drop below 80. I knew the side effects would be part of the bargain, so. . . . low blood pressure will no longer trigger a “drama” event. July 4th: Happy fourth of July. Let me start this day by asking you a question. How hard do you think it might be to get a home health nurse all riled up? The answer: Not hard at all. Wednesday, my nurse came to change the bandage for the picc line. She does this every week and today was no different, except about half way through, I became unresponsive. If someone can’t or won’t respond, we call them unresponsive. Depending on the context, a person’s unresponsiveness can be just a bummer or a life-threatening condition. Take this word piece by piece. Un- means “not,” as usual. A response is a reaction to something. And -ive is a suffix that means “state of being.” Taken together, these parts add up to “the state of being not responsive.” When your boyfriend just sits and stares rather than talking about what’s bothering him, he’s being unresponsive. Medically speaking, when a person is called unresponsive, it means they’re at least unconscious, and possibly dead or dying. 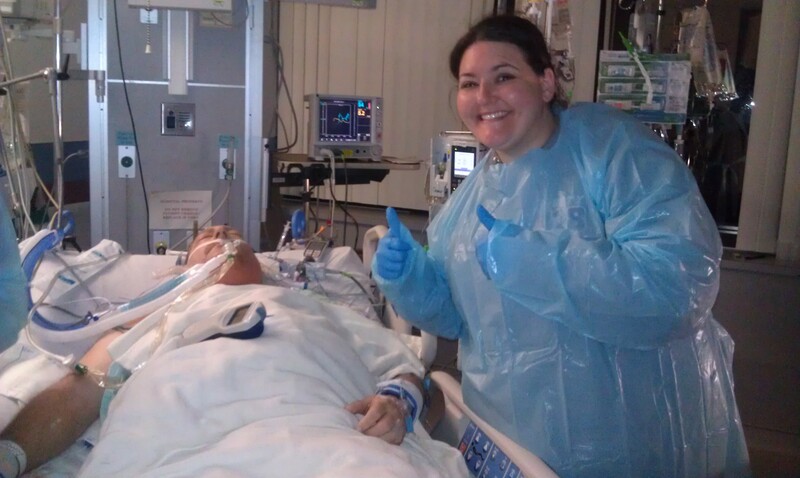 So you can see, when my nurse considered me “unresponsive”, her heart started to race. This is similar to the problem I described to you a few weeks back. My heart went into an arrhythmia, and apparently this time I became unconscious, if only for a few seconds. My nurse got all serious. I told her that this happens to some degree nearly everyday. Most of the time there is know body around when it happens. Is that like the falling tree analogy? If there is know body to see the tree fall, or to hear the tree fall, does it make noise when it falls? The analogy in this case: if there is know body to respond to, can I really be “unresponsive”? I even talked this over with Dr Kwan on my last visit. He interrogated my defibrillator and saw no arrhythmias. Although the machine only records events over 150 beats per minute. Dr Kwan felt comfortable in his understanding of the problem, and sent me on my way. My nurse is not so sure. She is calling Dr Kwan today, July 4th to tell him what happened. That will almost certainly trigger a call later this afternoon with instructions to come by his office tomorrow. The episodes continue though, and when there is someone to witness the event it can be a little dramatic. I think. I cannot tell you for sure because I was kind of “out”. The judgement: I will continue to consider “unresponsive” episodes drama. So for now, at least for this week I have by definition side steeped most of the drama this past week. While drama is fun on television, let’s hope for you and me that the television is where drama will stay! Every week, please join me in saying a prayer for the donors and their families. If you do not believe in prayer, perhaps you could send good thoughts and vibes their way. Watch for the new book coming to you in October 2012! Also, look for my Anthology of short stories and poems. A totally fictional, sometimes irreverent look at the world. My target release date for this book is September 10, 2012. Oh, one last bit of news. A new book; “Memoirs of the Cold War” is progressing nicely and should be released in the fall of 2013 and a management book dealing with strategic and tactical planning for small businesses is scheduled to be released in the summer of 2013.